Tesla is recalling car chargers that could overheat and, in some cases, cause a fire. The California-based automaker will provide owners of its cars with new charger adapters. In a letter sent Sunday to the National Highway Traffic Safety Administration, Tesla noted a small number of fires related to this issue. One fire that started in a garage in Irvine, Calif., in November was attributed to an overheating Tesla charger, according to reports. Tesla will recall 29,000 chargers but has denied that the charger itself was the cause of the fire. "While the number of incidents remains small, and Tesla's review to date points to the building receptacle or wiring as the primary cause of failed NEMA 14-50 adapters," Tesla said in the letter, "the Company has determined that a voluntary recall is appropriate as a precautionary measure." The carmaker had already provided a software update in December to address the issue. Tesla (TSLA) CEO Elon Musk told CNN's Poppy Harlow on Tuesday the software update "alone addresses any potential risk." "I call it a belt and suspenders approach, so even though we feel very confident about the software update, the adapter is something that provides additional surety," Musk said. "We just want people to have absolute peace of mind." The upgraded adapter will be provided to all existing and new Tesla owners "starting in a few weeks," Tesla said in a statement Friday. 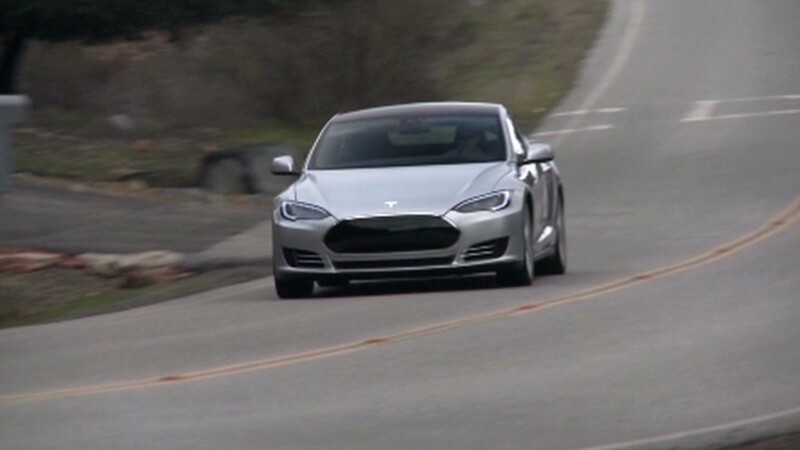 Tesla has been in the safety spotlight recently following a small number of fires that occurred in cars after crashes, including two in which cars ran over metal objects. This fix is unrelated to those issues. Beyond these issues, the Tesla Model S sedan has earned top marks in government crash tests. Tesla says its car has earned the highest crash test scores of any car ever tested.